France head coach Jacques Brunel has named a strong team to face the Springboks in their first 2018 November Test match in Paris this weekend. Guilhem Guirado returns to the captain the side after missing the tour to New Zealand and is joined the front row with Jefferson Poirot and Cedate Gomez Sa. 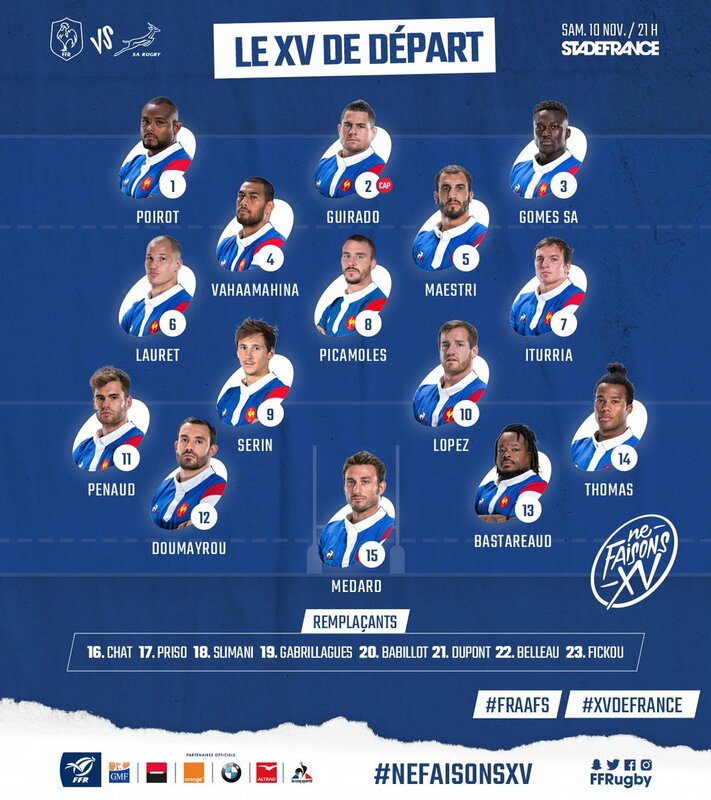 Sebastien Vahaamahina and Yoann Maestri partner up in the second row while Louis Picamoles returns to the starting line up and forms a formidable back row with Arthur Iturria Wenceslas Lauret. Baptiste Serin gets the nod over Antoine Dupont at scrumhalf while Camille Lopez makes his eagerly-awaited return to the French set-up. Geoffrey Doumayrou and Mathieu Bastareaud start in the midfield while Damian Penaud and Teddy Thomas start out wide with the inform Maxime Medard starting at fullback.